SERVPRO Glendora/San Dimas partnered with businesses around the community to collect canned food for Church of the Good Shepherd’s weekly food distribution efforts. In just a few weeks, SERVPRO Glendora/San Dimas was able to collect a large amount of canned food for Church of the Good Shepherd just in time for the holidays. Thank you to all Glendora/San Dimas individuals and businesses who hosted a collection box and contributed to this cause, SERVPRO Glendora/San Dimas is thankful for you! 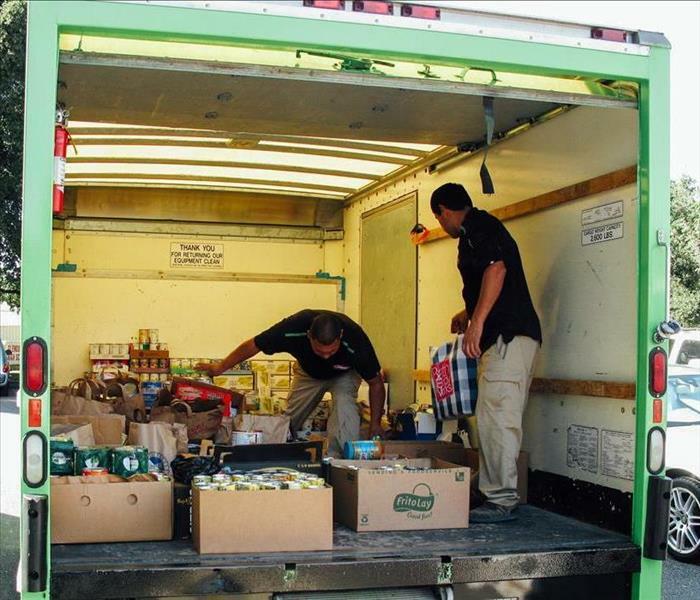 November 2016: SERVPRO Glendora/San Dimas was able to utilize our people and equipment resources to aid the GCCC on several occasions, such as transporting food from donation locations to sorting locations around the Glendora/San Dimas area. SERVPRO of Glendora/San Dimas assisted Washington Elementary school with there Believe in Yourself Fundraiser 2015. 150 handmade scarves were donated and cotton candy was made to help all families enjoy themselves. 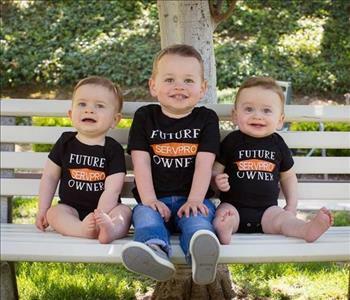 SERVPRO is proud to support our Glendora/San Dimas community! Sales Manager Doug Beach and Marketing Rep Nicole Parrish strike a pose at the spin wheel booth before the summer kickoff begins! Great food, great prizes, and great people. SERVPRO of GLENDORA/SAN DIMAS donated this beautiful wine and cheese basket that was raffled off at the Cuisines of the Foothills event. The event was hosted by the local Chamber of Commerse. 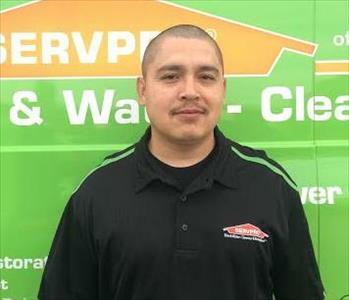 SERVPRO is proud to support the GLENDORA community! Nicole Parrish, Doug Beach, and Harriet Cotterman attended the San Dimas Birthday BBQ celebration on Saturday, August 4th. Several local businesses came out and showed there support. There was music, facepainting, prize wheels, food trucks, and a live band to keep this party going throughout the day. SERVPRO of GHlendora/ San Dimas gave away shopping bags, frisbees, chapsticks, stressballs, playing cards, and pens to the local residents of San Dimas as well as Glendora.